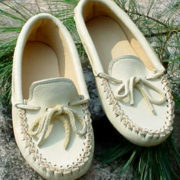 How adorable are these!? 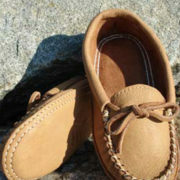 Perfectly sized and shaped for chubby new feet, these are sure to become a keepsake. 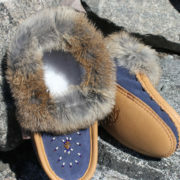 Crafted in Ontario of butter-soft deerskin, they are available in only one size; newborn. Choose from among four colours.